Bristol based company Hydrate for Health Ltd is celebrating after being named as a winner of a Queen’s Award for Enterprise - the UK’s highest accolade for business success, in the category of Innovation. 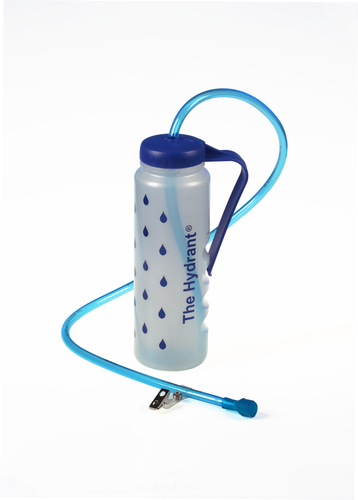 The award is in recognition of the impact their unique product, 'The Hydrant' is having across the health system. The Hydrant is a simple, hands-free, drinking system designed to prevent dehydration in healthcare, making it easy for vulnerable people to drink without need of assistance. The Hydrant simply clips, hangs or hooks on beds, chairs, wheelchairs and in many other locations. 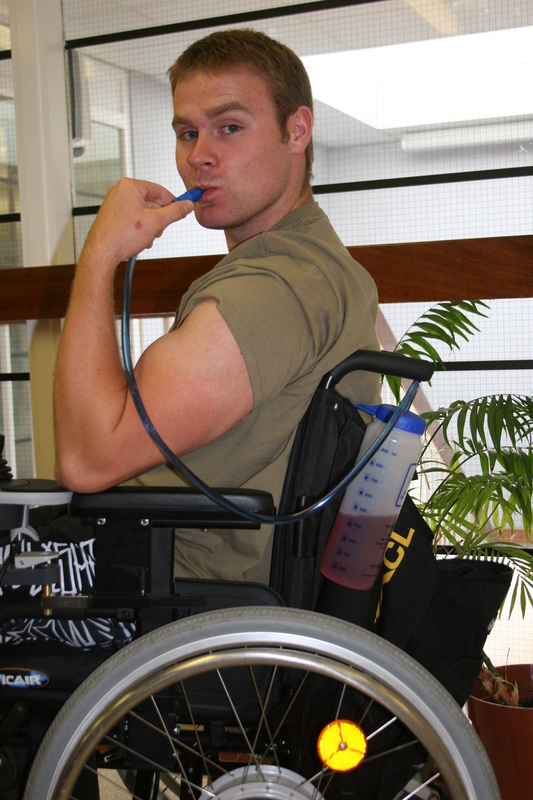 This removes the problem of reaching, lifting, or holding drinks and so gives easy access to fluids at all times by placing the drink next to the user. The impact of effective dehydration on vulnerable people in hospital, care homes and in care at home is astonishing and has a huge effect on wellness, length of stay and infection rates. Dehydration is recognised as the cause of 2 deaths per day in the NHS. This issue regularly grabs nationwide headlines and until now there has been no simple solution. The Hydrant is now being used by many thousands of people in hospitals, care homes and at home and is delivering visible improvement in the quality of life for the users. At the same time it is saving £millions for the NHS by preventing one of the biggest problems in healthcare from occurring and thus preventing admission to hospital or shortening the length of stay for patients. Studies have shown a 35% reduction in length of stay and up to 100% reductions in urinary infections and, in hospitals, a £36 saving for every £1 spent through use of The Hydrant. Please email reports@hydrateforhealth.co.uk for copies of these studies. The Hydrant was developed as result of personal experience in hospital following a spinal operation by the company’s founder Mark Moran. It is now one of the High Impact Innovations within the NHS and is in use in many locations worldwide. "I've been in trauma nursing for 20 years and this is one of the best ideas I've ever seen"
"Simply brilliant and brilliantly simple. The Hydrant should be on every hospital and care home bed in the country – it enables people to drink easily and without assistance at any time of the day. I have no doubt that it will make a major contribution to the reduction in dehydration related problems in the healthcare arena"
“I would like to tell you of its remarkable effect on my wife's hydration. My wife suffers from Multiple Sclerosis and recently has suffered from a dramatic deterioration in her condition. She spent a long time in hospital and is now, mostly confined to her bed. Approximately 150 Queen’s Awards have been announced this year for outstanding business achievement in the fields of International Trade, Innovation and Sustainable Development. This press release was distributed by ResponseSource Press Release Wire on behalf of Hydrate for Health in the following categories: Men's Interest, Health, Women's Interest & Beauty, Medical & Pharmaceutical, Public Sector, Third Sector & Legal, for more information visit https://pressreleasewire.responsesource.com/about.